hoses and race adapters. We offer FREE SHIPPING on orders over $250. JDA Enterprises supplies aerospace quality, or better, products at discount prices. With an extensive inventory and knowledgeable sales staff, JDA Enterprises provides quick and accurate order deliveries. 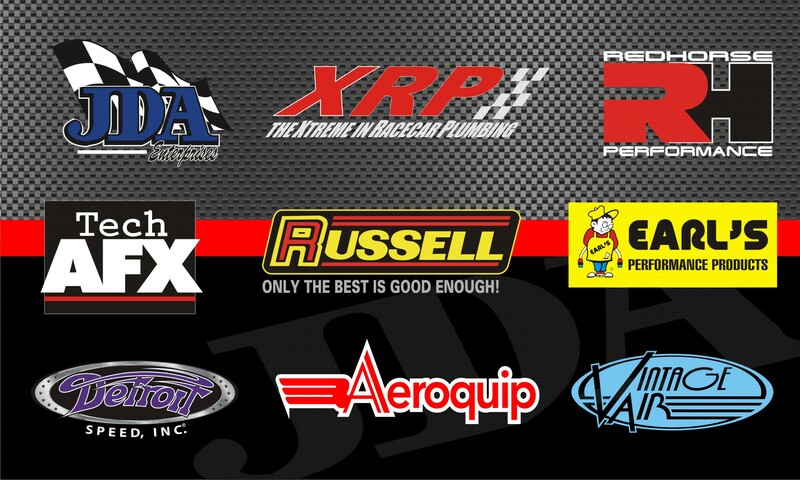 For over 35 years, JDA Enterprises has been the performance fluid delivery supplier of choice for many racing, hot rod, street machine, 4X4 and marine enthusiasts. JDA specializes in A-N Army/Navy designated hose and fittings. We stock sizes -3,-4,-5,-6,-8,-10,-12,-16, and -20. Trust JDA Ent. As we continually strive to provide the best AN Fittings and AN Plumbing we are always looking for additional product lines to carry in our warehouse. We are proud to announce the addition of Earls fittings and race plumbing products to our line of products that we offer. Earls plumbing is well known thoughout the racing industry as being top of the line when it comes to race plumbing. Earls has been the industry leading brand of performance plumbing for over 40 years. What gives this product line fame over the competition is that they have the highest quality AN fittings and hose ends for dependable fluid transfer.